From the second I read this book I was hooked but I have to admit that the beginning of the book was probably the best bit. That said it was a quick read and you did want to read to the end. Eleanor Blackwood lost her mother when she was murdered in a wood near her home when she was a child. 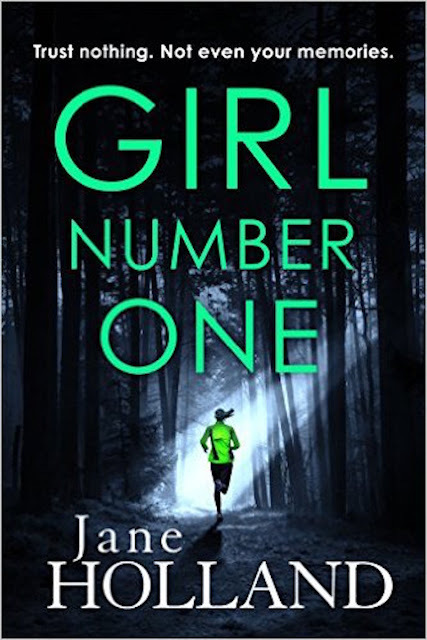 The murder was never found (since Eleanor can only remember snippets of that fateful day) so when Eleanor discovers a dead body, with a number on her forehead, whilst running through the woods on the eighteenth anniversary of her mother's death she automatically becomes worried for her safety. She runs back to get help but when she returns, with the police, to the spot where she saw the body it has vanished! Did she imagine things? Was there really a dead body there? As with any good murder mystery we Jane Holland throws in a number of red herrings to keep you wondering who the murderer is. Rather predictably for this genre it would seem and rather than making you wonder yourself if someone is or is not involved you are forced into considering people's innocence. At times the book did slow a bit, making you want to skim through the sections to get back to some excitement. The murderer was also quite predictable. It was a good book for an easy read and required very little thought to read it.